Senate Democrats are pressing federal regulators to push forward on a controversial Obama era investigation into McDonald’s before the Trump administration can rule on the joint-employer standard. Senators Elizabeth Warren (D., Mass. ), Kamala Harris (D., Calif.), Kirsten Gillibrand (D., N.Y.), Sherrod Brown (D., Ohio), and Cory Booker (D., N.J.), all of whom have been touted as potential 2020 presidential nominees, are urging the National Labor Relations Board to hold off on settling an investigation into McDonald's after the agency's top ruling body vacated a decision that threatened to unravel the government's case. The letter asked Trump-appointed general counsel Peter B. Robb, a career management-side labor attorney, to scuttle settlement negotiations given "the considerable resources the Board has already invested into the case [and] the significant public interests at stake." "It is imperative that you swiftly resume and finish the trial and allow the [administrative law judge] to issue a decision in this critically important case," the letter dated Wednesday said. "Doing so would demonstrate a commitment on your part to the fair enforcement of the law and a sense of fair play." 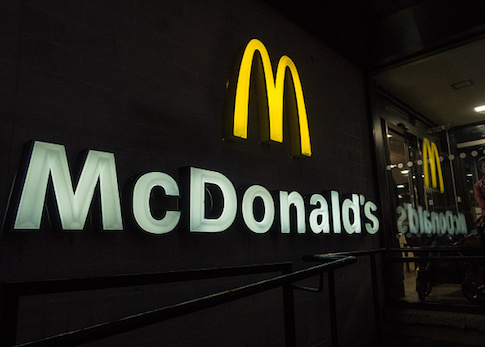 In 2014, NLRB general counsel Richard Griffin, a career union attorney, launched an investigation holding McDonald's liable for labor violations committed by its franchisees. The Obama-appointed majority followed up on that decision with a 2015 ruling that overturned the decades-old joint-employer standard, which held parent companies liable only if they played a direct role in the alleged violations. In December, the Republican-controlled board reversed the Obama board and returned to the longstanding precedent in the Hy-Brand Industries case. General Counsel Robb cited Hy-Brand in the agency's decision to pursue settlement talks with America's largest franchise. The joint-employer standard was complicated further when the NLRB inspector general issued a scathing and controversial memo saying Trump appointee William Emanuel should have recused himself from Hy-Brand because his old law firm handled a separate joint-employer case even if Emanuel did not personally participate in it. The NLRB's three other board members—two of whom are Democrats—voted unanimously to vacate Hy-Brand and return to the Obama board's standard set in Browning-Ferris. The Senate Democrats say Robb's office should finish the trial now that they have a more favorable case against the fast food giant. "No entity should be permitted to skirt its legal obligations or hide the uncomfortable realities … by prevailing on what it considers to be a more sympathetic ear upon a change in the Administration," the letter says. "Forcing [a settlement] would further erode public trust in the decision-making processes of the Board." The NLRB declined to comment on the letter and settlement talks. McDonalds did not return request for comment. The Obama board's approach to joint-employment liability was seen as a major victory for unions, which have long targeted the franchise industry for organizing. The difficulty in such an endeavor is that the old standard forced labor organizations to campaign on a store-by-store basis. Holding umbrella companies responsible for employment practices opened the door for a less-costly top-down unionization effort. Warren, Harris, Gillibrand, Brown, and Booker praised the Obama standard for opening the door for organized labor—a major constituency in Democratic presidential primaries. "This standard recognizes workers' right to bargain collectively with employers that indirectly control their pay and working conditions," the letter says. "Because this matter affects the rights of millions of workers and has implications far beyond the scope of the case, we will closely follow how you proceed." Proponents of the traditional joint-employer standard criticized the Democrats for attempting to interfere in an agency investigation. The International Franchise Association, an industry trade group representing thousands of franchisees, questioned the "political motivation" of the individual authors. "It is completely inappropriate for sitting U.S. Senators to influence or intervene in a settlement being negotiated between private parties through an independent government agency," IFA said in a release. "Their attempt to do so raises questions about whether there's a broader political motivation at play here." The senators gave Robb until March 21 to respond to questions about the settlement talks, as well as any past comments about the McDonald's case prior to his appointment to the board. This entry was posted in Issues and tagged McDonald's, Obama Administration, Trump Administration. Bookmark the permalink.